Like most boys his age James has reached that stage where he wants to do things by himself. Especially since finishing nursery and starting school he wants to be more independent and that includes bath time! James has quite sensitive skin so we have stuck to certain products for his skin but he always wants to try the "child based" bath products from the supermarket, You know the ones in the funky shaped bottles or with funky pictures on. So when the lovely people at Shampooheads offered us some of their hypoallergenic and dermatologically tested products for James to try we new he would love them. 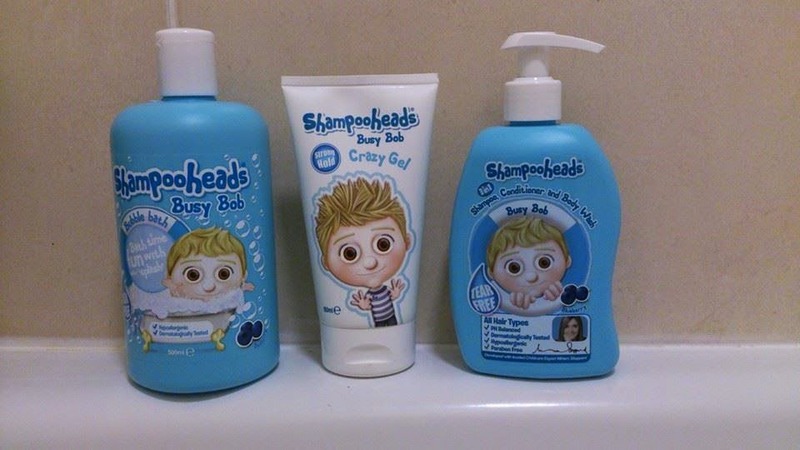 Shampooheads was created by the Bell family and has 3 product ranges each being based on each 1 of their 3 children - Awesome Annie (tropical scent), Busy Bob (blueberry scent) and Raging Rosie (strawberry scent). They are now joined by Dr Miriam Stoppard who is working with the family as their resident childcare expert. On Sunday 16th September 2012, Shampooheads appeared on BBC’s Dragons Den. Since then the company has gone from strength to strength even expanding our product ranges to include Bubble Baths for each of the 3 characters. James loved the bright colour of the bottle and couldn't wait to use this in his bath. The scent was amazing and as promised there were no tears even after using the vast amount of bubbles created from the product to create a beard lol. His skin was lovely and soft afterwards and he had no flare ups of his eczema! 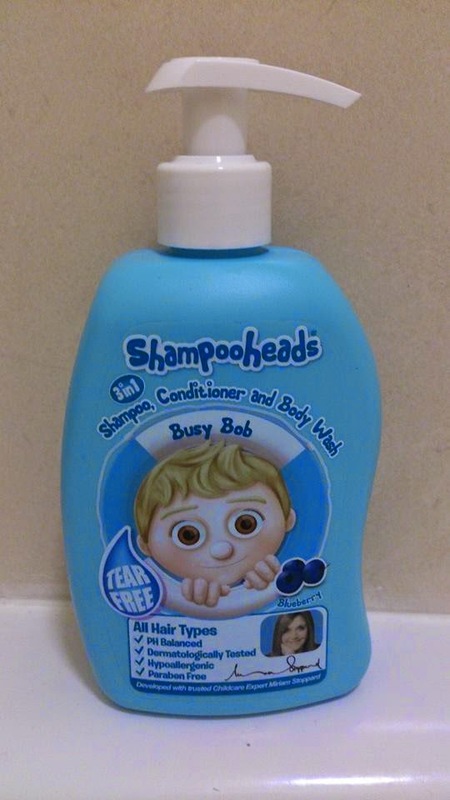 Busy Bob Shampoo, Conditioner and Body Wash. I love the fact this product in everything in one! It means no messing around with a separate shampoo, conditioner and body wash. Again the scent of this was so fresh it really did smell lovely. I really liked the fact the pump action bottle had a child friendly pump which was easy for James to use by himself, Also when pushed it delivered a measured amount so there was no over using the product and he could simply use 1 pump for his hair and 1 for his body again giving him the independence he really wants. James has recently started getting his hair cut with daddy at the barbers (I used to cut it at home previously but hes apparently to "grown up" for that now lol!). Despite that we have never really tried putting gel in his hair but when we explained to him what this was he was excited to try it out. He loved "spiking" up his hair and as promised it really held all day even whilst running around the park, Then was easy to comb and rinse out at the end of the day. I would definitely suggest trying this out if your little ones are wanting to try something funky with their hair without causing any damage as a first hair gel. 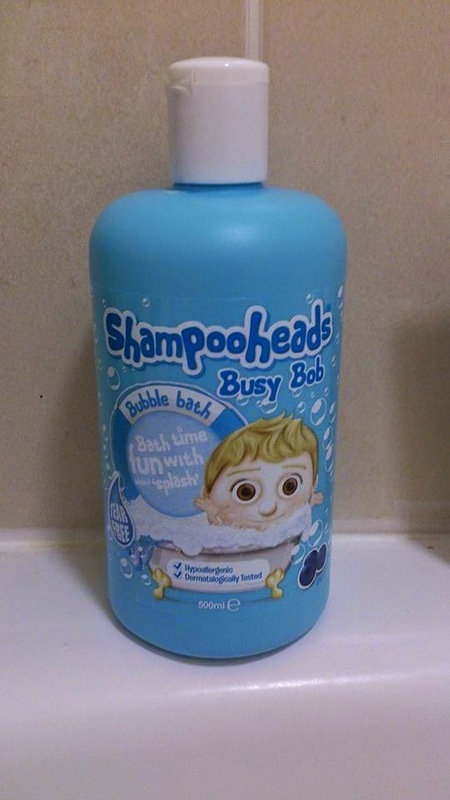 Shampooheads aim is to make children aware of personal hygiene through child friendly products and it certainly seems to have worked in our house with James really looking forward to using his "own" products each morning. Do you children like to be independent at bath time? Which of the 3 characters do you think your little one would like the most? never heard of this brand before but it sounds quite good! the blueberry scent sounds great. sounds like a great brand, kids always go for the funky packaging! I like the dispenser for the shampoo. My kids always end up using half a gallon when left to their own devices! I've never heard of them, but I am def. going to check this out! Not heard of these before but they look great. WIll be keeping an eye out for them. I like the idea of a dispenser so no mess or fuss. Sounds like it smells amazing too. My boy has eczema and always feels left out as he cant have bubbles, but maybe these would be ok for him- will keep an eye out for them! I like the idea of the shampoo, conditioner and body wash. My daughter likes to have a proper shower after swimming and you can't take loads of bottles into the showers. 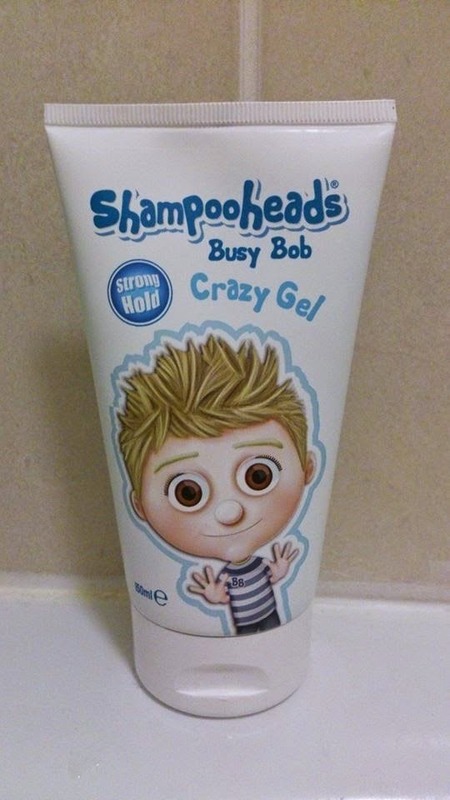 Not heard of Shampooheads before, but it looks really good for children. I'd love to know what the differences are between the 3 product ranges.